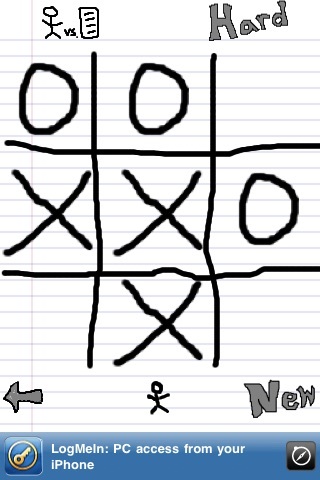 The all time classic, must have pencil and paper game. 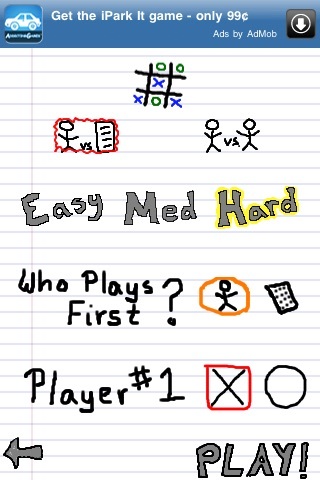 Supports one and two players and a difficulty setting when playing against the iPhone. 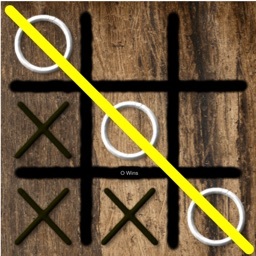 - All gameplay options from paid version are now available in free version! 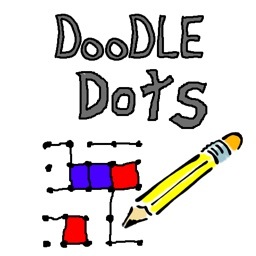 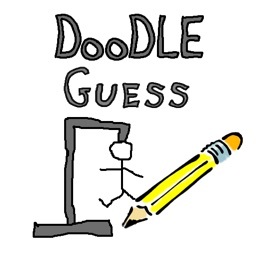 A classic pencil and paper game done in “doodle” style. 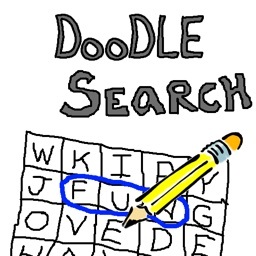 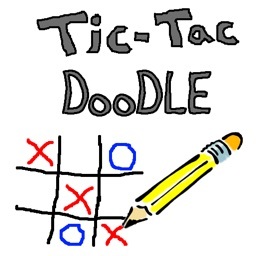 Tic Tac Doodle is one of the five mini games (Hangman, Battleship, Word Search and Dots) found in Doodle Games. 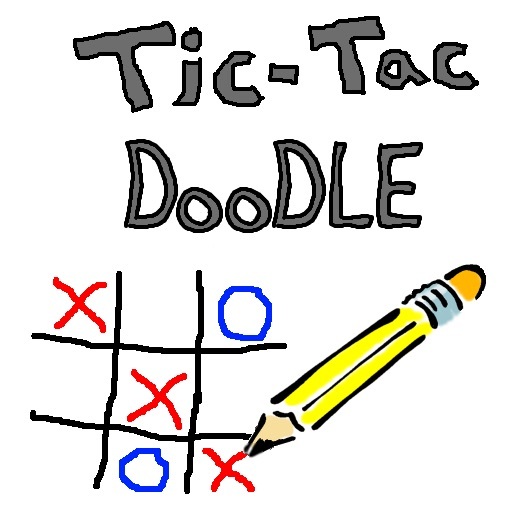 If you like Tic Tac Doodle, check out Doodle Games in the AppStore! 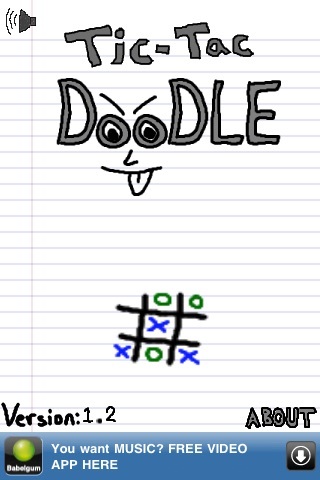 Doodle Games is a collection of some of your favorite pencil and paper games, brought to life on the iPhone. 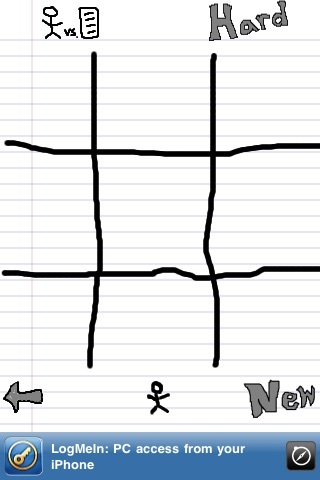 This is the perfect game for your next road trip, boring meeting, or family gathering. 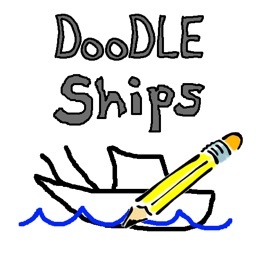 Play DoodleGames on your iPhone and save a tree!